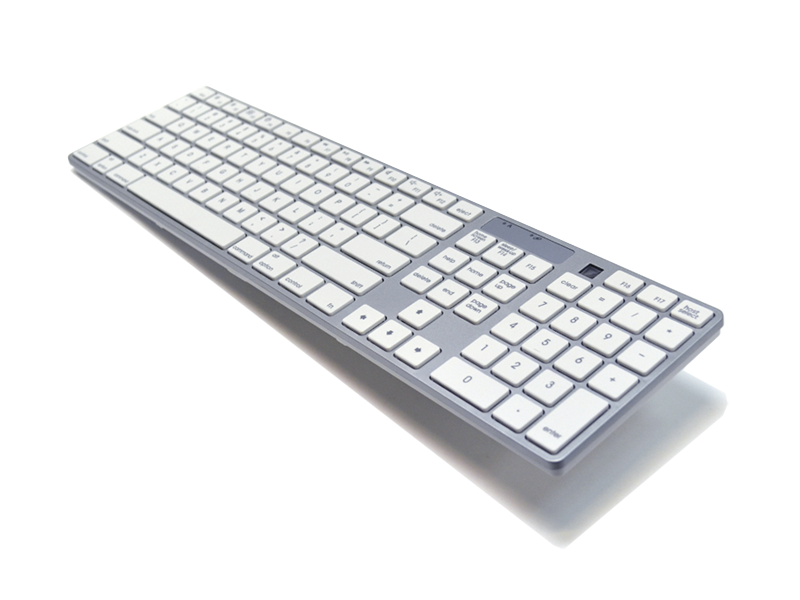 WKB-801A, a stylish & low profile Bluetooth keyboard, is at the forefront of cutting edge wireless keyboard with multi-host switchable feature (patent).It is an ideal wireless keyboard for using iMac, iPad, iPhone or other Android OS Tablets in between, thanks to multi-host switchable feature. 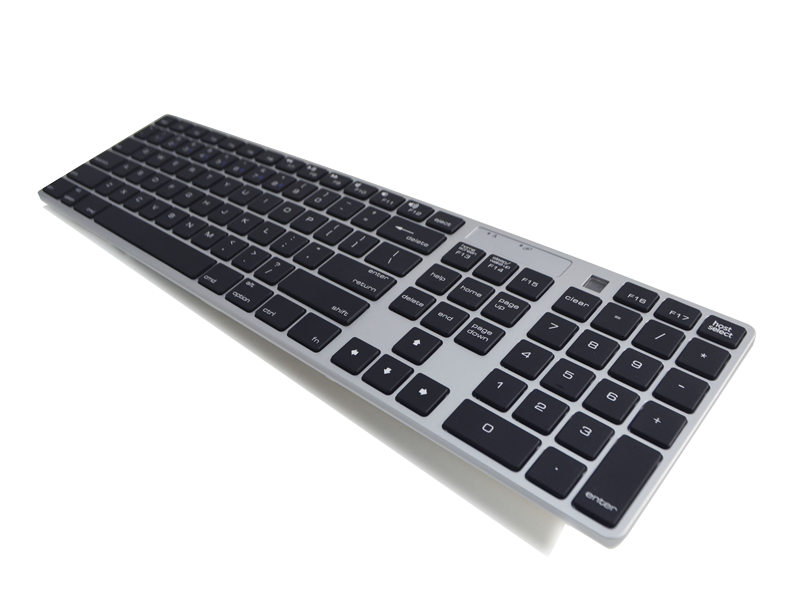 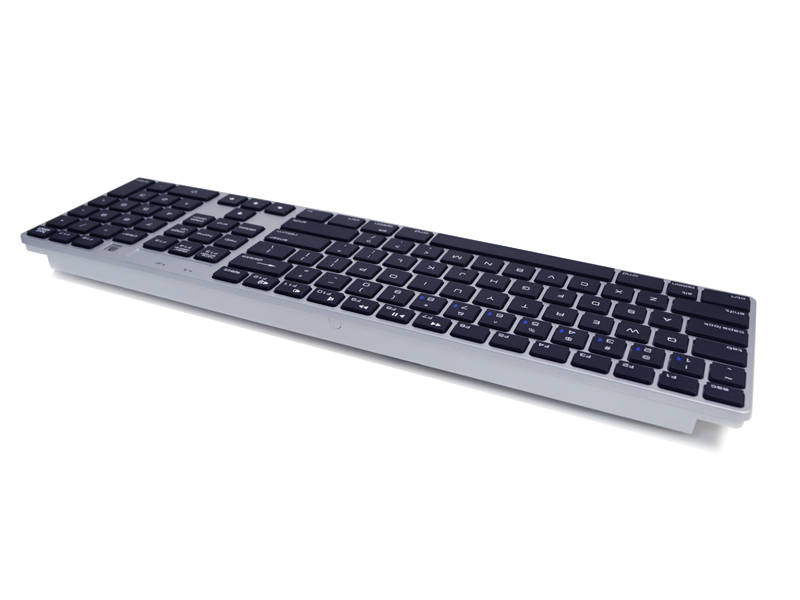 This full size keyboard come equipped with Bluetooth 3.0 technology with 2 x AA batteries, scissor-type key mechanism among many other features. 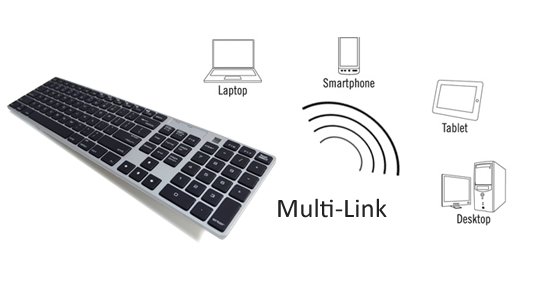 © 2018 Digimore Electronics Co., Ltd. All rights reserved.